Engineering faculties at Coventry University and the University of Windsor in Ontario, Canada are working together to develop software that will help students around the world learn about vehicle dynamics. A six-week visit by Mike Blundell, professor of vehicle dynamics and impact at Coventry University, is currently advancing the Inter KT project, especially its capabilities in tyre modelling. 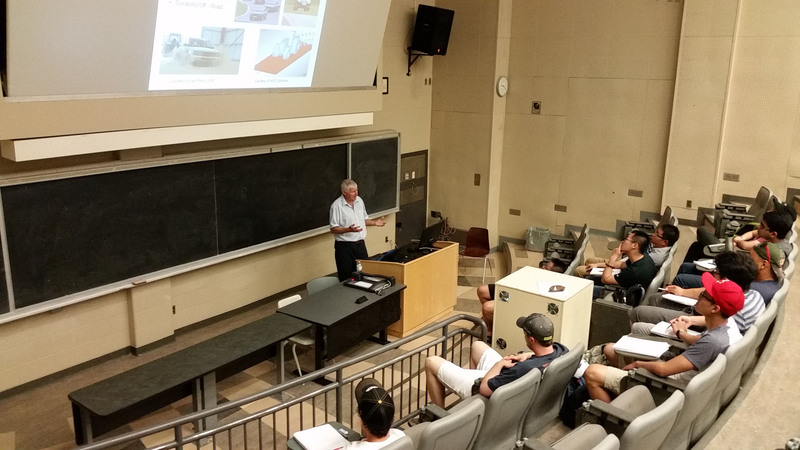 Prof. Blundell is also delivering guest lectures on tyre performance to University of Windsor students, while raising awareness of opportunities for exchange visits or research study at Coventry. Prof. Blundell says he has been delighted at the chance to work with colleagues here and is proud of his appointment as a visiting professor. 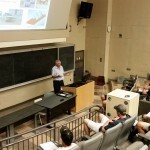 Prof. Blundell presented the first paper resulting from the collaboration in June at the Joint International Conference on Multibody System Dynamics in Montreal. ← VIDEO: Are You In?